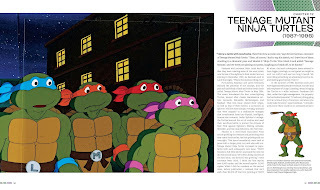 I was lucky to review the Totally Awesome: The Greatest Cartoons of the Eighties, because this was right down my alley. One of the best things I loved growing up was waking up on Saturday morning and watching cartoons. 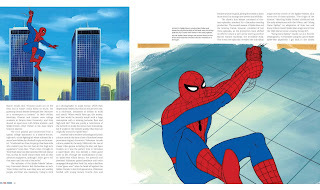 I have always wanted to know some of the history and backstory of some of my favorite cartoons like Spider-Man And His Amazing Friends, Transformers, He-Man, the Teenage Mutant Ninja Turtles, G.I. Joe, and the Thundercats, and how they came to be. Well this book is exactly that. 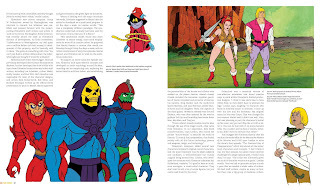 Each cartoon series gets about 8 to 10 pages to focus on it's history and some behind the scenes stories with lots of production art work some come as these interesting mock ups like model sheets, storyboards, production notes, and artwork which are super cool to look at. 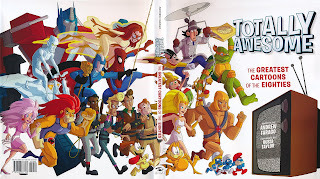 If you are a fan of eighties cartoons, than this is a book for you. What A Fun and TOTALLY AWESOME Book.